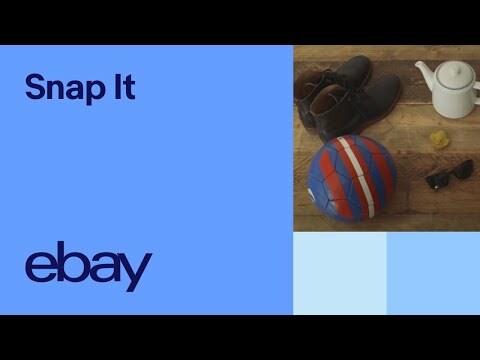 The eBay app makes selling on eBay quick and easy. Take photos with your phone or tablet and load them straight to your listing. You can even scan product barcodes to automatically add item details to a listing and can save drafts so you can edit and finish later. Smart tools and software also means you’ll get guidance on pricing your items, the option to automatically relist if something doesn’t sell and discounted postage labels that you can easily print from home. A picture is worth a thousand words but on eBay it’s worth even more – a potential sale. Use the camera on your phone to take at least 3 but up to 12 great photos, then upload them for free – each additional photo you add can increase your chance of selling by 3%. Your title grabs attention and the description closes the sale. Include all the words a person might use to search for your item (e.g. cup, mug, glass, tea set). Be very detailed, and honest – make sure you cover any flaws. Tip: Our pre-filled templates make it even easier to provide important details to potential buyers. Just enter the item you want to sell, search for an item similar to yours and select ‘sell one like this’. Price your item competitively and consider accepting ‘Best Offer’ if you are flexible on price. Increase your chances of selling faster by also selecting Best Offer in your listing. We offer other shipping options to suit you – you can also choose courier pick up, local pick up or choose from various drop off locations if you’re not near an Australia post store. 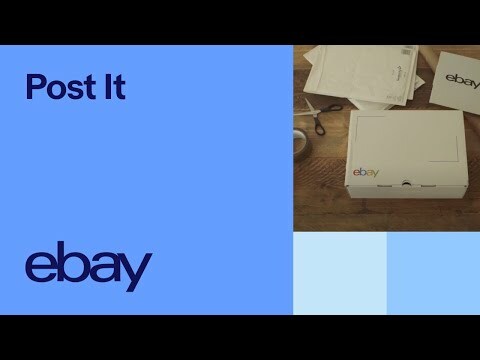 Check out eBay’s postage centre for tips, tools and an overview of postage services available on eBay. Tip: Using pre-filled templates to list your item makes it even easier when it’s time to send your item. It’ll automatically calculate your shipping based on the weight and dimensions of your item. 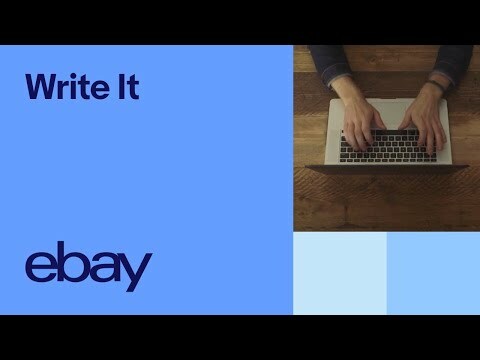 It’s now even faster and easier to sell on eBay! Our smart new listing tool lets you copy listing details from similar sold items and easily drag and drop photos or synch from a mobile device. It’ll also give you guidance on how to price your item to increase your chances of selling and give you delivery recommendations. We’ve kept all the features you know and love and made them even better – try it now! Choose your item from the catalogue. If your item doesn't appear, just create a new one! Describe it: Your title grabs a buyer’s attention and should include words people might use to search for your item like brand, colour, size and condition. Add up to 12 photos for free: Take photos on your phone or tablet in the eBay app. If you list on your desktop, you can even pull photos into your listing from your mobile phone. 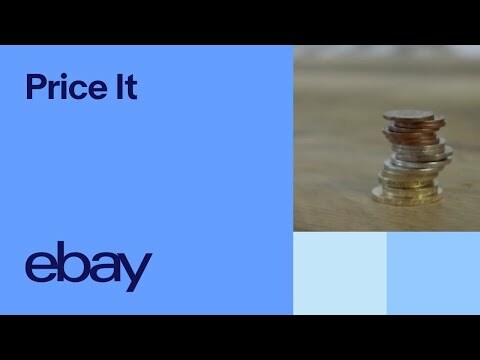 Price It: Set a price for your item. We provide pricing recommendations based on items in a similar condition that sold on eBay to help improve your changes of selling your item. Add postage: Choose from our shipping recommendations and select the best postage option for your item. You can also add Local Pickup as a postage option. Hint: If Quicklist isn’t available on your account, make sure you select “Switch to the quick-listing tool” on the “Sell Page”. Quicklist isn’t available for Seller Hub subscribers, you will need to opt-out from Seller Hub to access Quicklist.